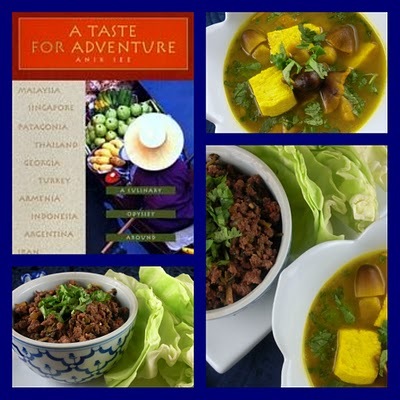 Our most recent Cook the Books selection was Anik See’s “A Taste for Adventure: A Culinary Odyssey Around the World” and I am pleased to offer the following roundup of blog posts inspired by our reading. This book of bicycle travel essays took us all to many corners of the globe and all participants indicated that they enjoyed See’s impressions of different cultures, landscapes and of course, the pleasures of local food and beverages. Some readers were a bit suspicious that See was welcomed so exuberantly during all her journeys, so I will ask our wonderful author, who is also serving as our Guest Judge for this Cook the Books round, to comment on that point. 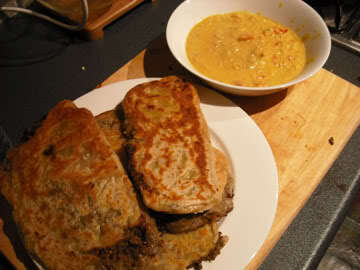 Our wonderful English (by way of Australia) friend Foodycat, a self-described nervous traveler, was enervated by our featured book and shook off her post-Christmas cooking doldrums by making Murtabak (a spiced hand-held meat pie) and Jagjit’s Dalcha (coconut milk-infused curry), from recipes in See’s book. Next stop on our culinary odyssey is Thailand, which inspired the posts of two Cook the Books participants. 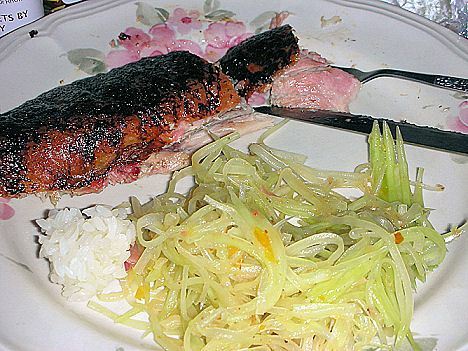 Glennis of Cantbelieveweate made a sumptuous New Year’s supper of Roast Duck paired with the Green Papaya Salad recipe from “A Taste for Adventure”. She enjoyed our featured book pick during her Sunday “spa” day of soaking in the tub, reading and “scrubbing her bodkin”. Sounds like a divine way to usher in 2010. My wonderful Cook the Books co-founder, Deb of Kahakai Kitchen in Hawai’i, was also inspired by Thai culture for her submission. Though her real-life travels to Thailand did not start out auspiciously, she finished her sojourn pleasantly with a weekend cooking class that featured a restorative, elegant Clear Turmeric Soup with Fish. Deb provides a wonderful recipe for this soup, as well as her version of our author’s Stall-Style Minced Beef Stir-Fry. 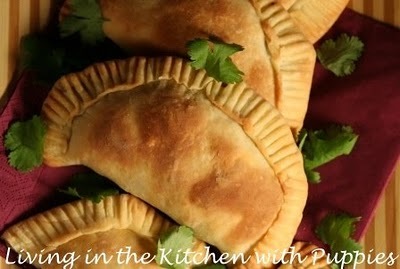 Natashya, the author of the Canadian food blog, Living in the Kitchen with Puppies, was taken with See’s travels in Argentina, and decided to try her hand at making a larger version of Empanadas al Cafayate, which came out beautifully. Over at The Crispy Cook, I was absorbed in the chapters in our featured book about the Middle East, and finally settled on researching Turkish cuisine. 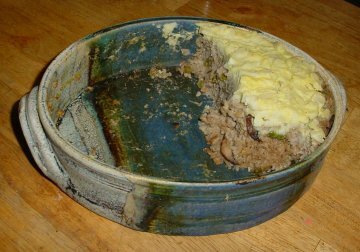 I found a great blog, Binnur’s Turkish Cookbook, which offers a wide range of homey recipes from Turkey. I cooked up a robust mushroom pilaf, topped with grated cooked potatoes and crisped up in the oven. Delicious! Nearby Armenia was the inspiration for another Hawai’ian Cook the Books reader, Claudia of Honey From Rock, who is our reigning (and only two-time) CTB champion. Claudia’s blog post reminisces about her previous travels around the world. 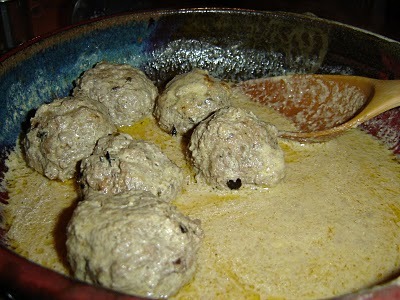 She dipped into The Silk Road Gourmet, by Laura Kelley, to prepare Meatballs in Lemon Sauce. Ty’s Mommy over at The Seventh Level of Boredom loved our featured book and reminisced in her blog post about a high school trip abroad to Catalonia. 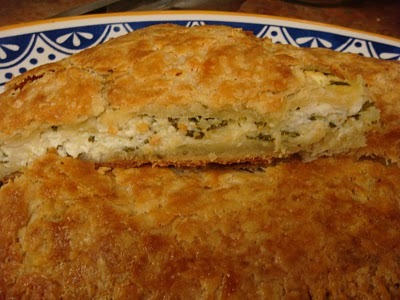 Her experience was akin to the exuberant reception See received on the back roads of Georgia, so she was inspired to make Khachapuri, savory dough pockets stuffed with feta and herbs. Our final stop on our global sojourn is to an entire continent, Africa, with Joanne, of Eats Well With Others. She was making her way through twelve weeks of winter squash and decided to continue Anik See’s travelogue with a Tunisian Lamb with Pumpkin and Apricots. 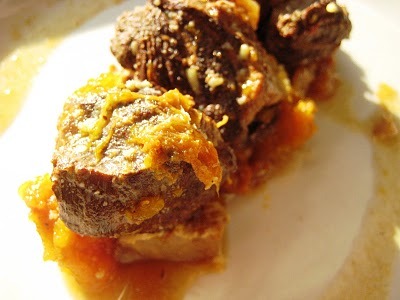 A lovely round of intriguing dishes and interesting blog posts from our Cook the Books readers! I will be alerting our gracious author and Guest Judge, Anik See, that the roundup is posted and after she decides on a winner, I’ll be back to let you all know and turn the reins over to Deb at Kahakai Kitchen.